Shopping at one of the NJ furniture outlets is a great way to save money on all your home furnishing needs. New Jersey is the home of many fine furniture outlet stores offering a full line of home furnishings and accessories. 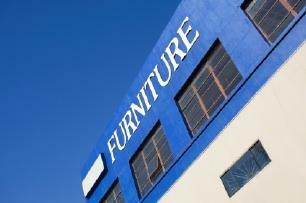 The following NJ furniture stores are a small sampling of the furniture outlets located throughout the state. Jarons Furniture Outlet, located in Bordentown, New Jersey, is independently owned and operated by Greg Jaron. Almost two decades ago, Greg opened a furniture store with his father, uncle and cousins. After his father and uncle passed on, Greg left the family owned store and opened his own furniture store where he considers his customers of prime importance. Along with great prices and a wonderful selection of furniture, enjoy browsing through the furniture showroom as you nibble on complementary fresh baked cookies, penny candies and coffee. Located just minutes away from New York City, the Lyndhurst, New Jersey, FOW Fine Furniture carries beautiful furniture at great prices. The company opened in 2004 as a furniture warehouse and over the years grew into a full service furniture outlet store offering their customers a wide selection of home furnishings and accessories. In addition to their brick and mortar retail showroom, FOW also offers all of their merchandise from their website. Located in Westward, New Jersey, Furniture Bank Factory Outlet has been in business for nearly a half century. A family run company, Furniture Bank Factory Outlet and Wholesale Distributors offers customers high quality furniture at low discount prices. Whether you shop online or visit the stores in person, NJ furniture outlets provide you with a fine selection of furniture at great prices.